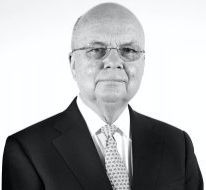 As a best-selling author and television commentator, General Michael Hayden (ret.) has been vocal about the threats he sees – both foreign and domestic. The former head of the CIA and NSA (and member of The Cipher Brief’s Board of Directors) has famously said at The Cipher Brief’s Annual Threat Conference – that the world has been more dangerous – but never, has he seen it more complicated. General Hayden sat down with Cipher Brief CEO & Publisher Suzanne Kelly to talk about the most serious issues with far-reaching consequences, including the murder of Washington Post Journalist Jamal Khashoggi, Iran’s bad behavior, Russia’s grand strategy and the private sector taking a more aggressive posture in cyber.